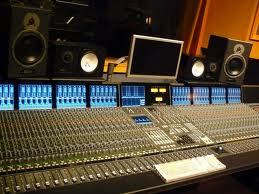 If you truly want to become an amazing recording studio engineer, then practice "critical listening". To start, get a pair of headphones and listen to a couple of your favorite songs. Headphones are important for you to hear everything better. Listen to how the songs were mixed. See if you can pick out every instrument used, what effects were used, see if they used any type of panning and listen to all the different vocal tracks. Get a piece of paper and put line a down the center. Put "left" at the top of the left side, and "right" at the top of the right side. Now mark down what you heard in each ear during the song. If it was in both ears then mark it in both columns. Do this enough and it will really sharpen your listening skills. Pretty soon you will be judging every song you hear on the radio. Thinking that you would have mixed it a different way or added this or that in certain parts. Practice makes perfect!